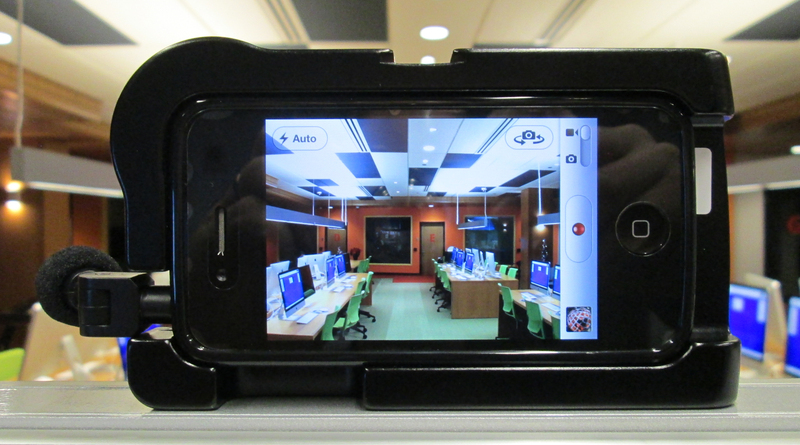 If you’re looking to improve pictures and video taken with your iPhone, Studio 300 has the ALM Wide Angle / Macro lens kit for both the iPhone 4 & 5. This kit is very simple to use. Just pop your iPhone into the lens body, attach either the wide angle or macro lens, and shoot. The wide angle lens produces a picture about 30% wider than normal and the macro lens allow you get within an inch of the lens for super close-ups. Also included in the kit is an external mic which works great for interviews. Stop by Studio 300 and we will show you how easy it is to use. Check out the videos below to see both lenses in action. This entry was posted in DIY FYI and tagged Angle, Apple, Close-up, Fisheye lens, iphone, IPhone 5, Macro photography, Wide-angle lens. Bookmark the permalink.